Many years ago, we supplied a single 6-meter storage container to a then little known surfing company whose aim was to teach kids from the previously disadvantaged communities how to surf. Their mission was to “provides a child-friendly mental health service to at-risk youth living in unstable communities. Through access to safe spaces, caring mentors, and a provision of weekly Surf Therapy sessions, W4C gives children skills to cope with stress, regulate behaviour, build healing relationships, and make positive life choices.” (W4C website, https://www.waves-for-change.org). Since that time Mr. Tim Conibear and his organisation, Waves 4 Change, has gone on to win many awards for the wonderful work he and his organisation has done. It therefore gave us immense pleasure in being requested to be of service to Waves for Change once again and in some small way to contribute to bettering the lives of others. 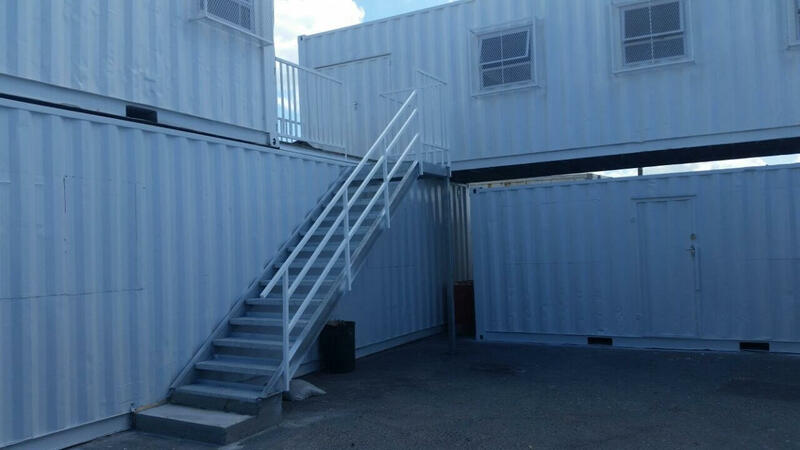 Container rental and Sales was commissioned to create an office complex situated on Monwabisi Beach. 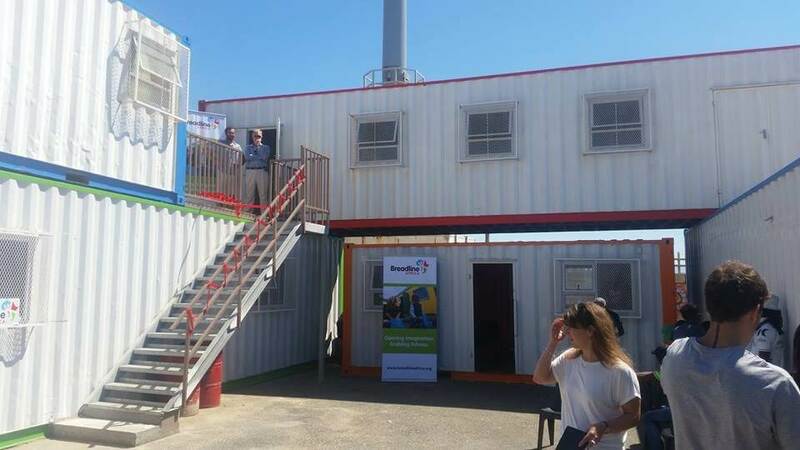 They had grown from that lone container to a complex consisting of 5 containers varying in size from a 6-metre to a 12-metre container. 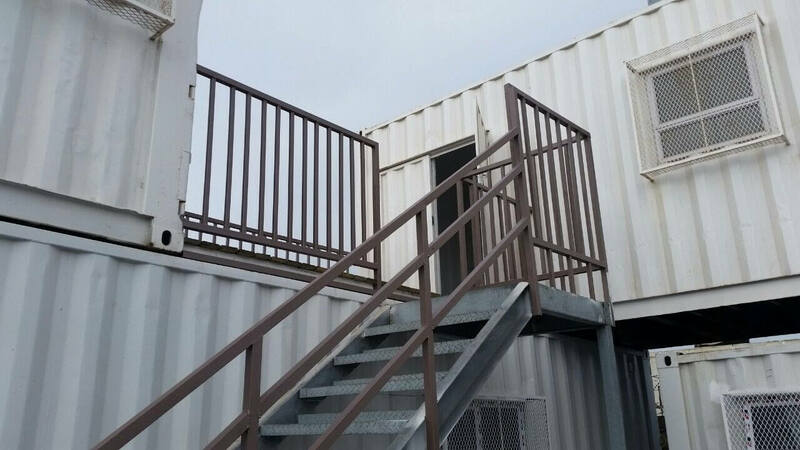 The ground floor consisted of a 6-meter kitchen, a 12-meter store room and a 12-meter training room, whilst the top floor has a 12-meter office, a deck and a 6-meter work shop. 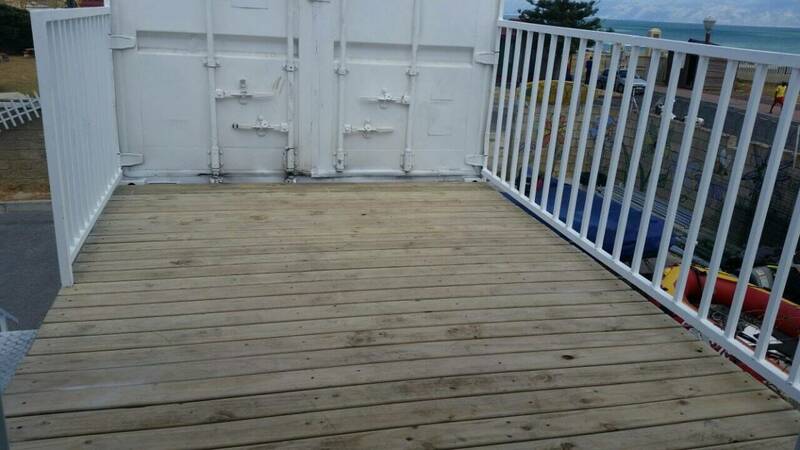 All the containers were treated for rust and painted. We installed window and doors and a stair case were added as well. It is now a fully functioning training and admin centre. A wonderful organisation to take under one’s wing.